In these snowy and cold winter days, we are all about staying warm, comfortable, and bundled up in the coziest clothes and shoes. 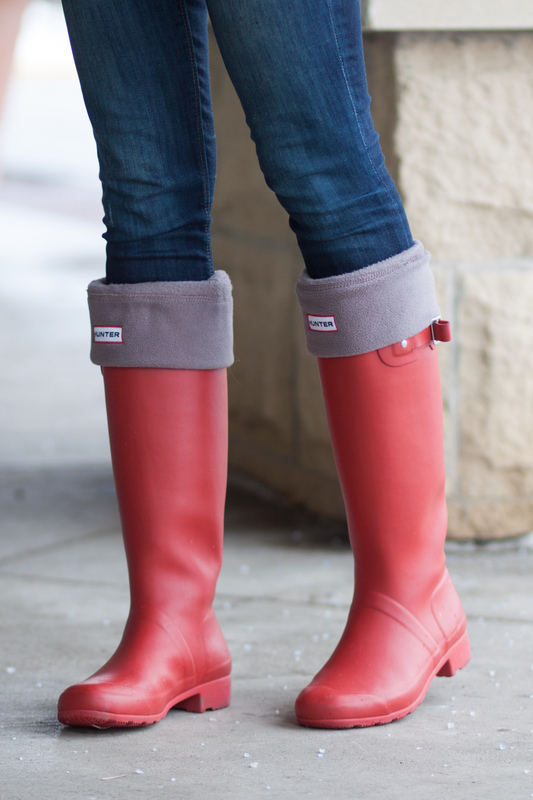 Hunter rubber boots are perfect for rainy and snowy days. Once you put them on, you never want to take them off as they are the most comfortable boots. They can also be styled with plenty of cool accessories. The boots socks in the post are probably the simplest ones you can find but there are so many cool ones available. My friend just got me the cutest cable knit ones for the Holidays in white but I also love these and these. These knit knee socks are so adorable! The Vince scarf I’m wearing is sold out but these are still available and the quality is just impeccable! There are so many great sales going on right now that you are sure to find something you love at a great price! Happy shopping!